In accordance with the Italian Legislative Decree n. 196 dated 30th June 2003 (Privacy Code) and subsequent amendments, we are obliged to provide the necessary information as regards the processing of the personal data you have provided. The information cannot be considered valid for other websites that can possibly be seen via links present on these websites, the domains of which are owned by the relative data controller who shall be held responsible in any way whatsoever for third party websites. This is information that is given also in accordance with Art. 13 of the Italian Legislative Decree n. 196/2003 – Personal data protection code. The information is also based on Recommendation n. 2/2001 that the European authorities for the protection of personal data, through the Group established in accordance with Art. 29 of Directive n. 95/46/EC, implemented on 17th May 2001 so as to identify certain minimum requirements for the online collection of personal data, and, in particular, the methods, times and nature of the information that the data controllers must provide to the users when these visiting web pages, regardless of the purposes of said connection, as well as what is foreseen by Directive 2002/58/EC, as updated by the Directive 2009/136/EC, on the subject of Cookies. 1. THE “DATA CONTROLLER, in accordance with Art. 28 of the personal data protection code is S.S. Soc. Agr. Via Tonolli 58 – 37067 Valeggio sul Mincio (Verona, Italy) Tel +39 045 794 5477, e-mail address: privacy@cortetonolli.it, personally represented by the pro-tempore legal represented. THE DATA CONTROLLER, in accordance with Art. 29 of the personal data protection code is Mr. Giuliano Tonolli. Personal data, any information relating to a natural person, either identified or identifiable, even indirectly, through reference to any other information, including a personal identification number; Identification data, personal data that allow the direct identification of the interested party (for example: name, surname, e-mail address, address, telephone number, etc…). IT systems and software procedures necessary for the functioning of this website acquire certain items of personal data, during the course of their normal operation, the transmission of which is involved in the use of Internet communication protocols. This is information is not collected to be associated with identification data, but due to its very nature, it could allow users to be identified, by means of processing operations and associations with data possessed by third parties. IP addresses or computer domain names used by users who connect to the website, addresses using the URI (Uniform Resource Identifier) of the requested resources, the time of the request, the method used to submit the request to the server, the size of the file used as a response, the numeric code indicating the state of the response given by the server (successfully completed, error, etc.) and other parameters relating to the operative system and to the user’s IT environment all fall into this data category. This data is used with the sole aim of collecting anonymous statistical information relating to the use of the website and to check its correct operation. Legal defence – The User’s Personal Data can be used for legal defence purposes on behalf the Data Controller or during the preparatory stages of possible legal proceedings, due to the abuse of the use of the same or of associated services on behalf of the User. This data could be used in liability-related proceedings in the event of hypothetical cybercrimes committed to the detriment of the website. Maintenance – The User’s Personal Data can be processed using additional methods and purposes associated with IT system maintenance. The optional, explicit and voluntary sending of e-mails to the address shown on this website or the filling out of data collection forms entails the subsequent acquisition of the sender’s address that is necessary in order to reply to requests, as well as any other personal data entered. Following the free and optional consent given by the user, Corte Tonolli can process data also for marketing purposes, or rather to send the user information relating to products, offers and exclusive sales, via e-mail, text and mms messages. The user shall always have the possibility to object to the processing of his own personal data for the purposes of sending promotional information by e-mail or by means of the form found on this website. 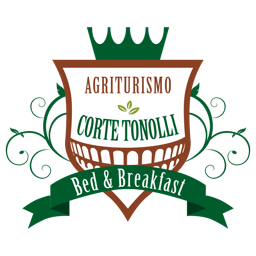 The personal data that Corte Tonolli collects and processes includes the name, surname, e-mail address. In accordance with the Privacy Code, if necessary, Corte Tonolli requests the user’s consent prior to proceeding with the processing of personal data. Specific information – Specific information may be entered on the website pages according to particular services or the processing of Data provided by either the User or the Interested party. As for operation and maintenance requirements, this website and any third party services used by such may collect system logs; or rather files that record interactions and that may also contain Personal Data, such as the User’s IP address. – Newsletter subscription via e-mailing lists and associated activities. – Administrative/accounting activities in general. For the purposes of the implementation of provisions on the subject of personal data protection, the processing activities carried out for administrative/accounting purposes are those associated with the performance of organisational, administrative, financial and accountancy activities, regardless of the nature of the data processed. In particular, internal organisational activities as well as functional activities carried out in order to fulfil contractual and pre-contractual obligations and information activities serve such purposes. Apart from the Data Controller, in some cases, other categories of people involved in the website organisation may have access to the data categories (administrative, sales, marketing, legal personnel, system administrators) or rather external individuals (such as third party technical services, couriers, hosting providers, IT companies, communication agencies) appointed also, if necessary, in charge of Data Processing by the Data Controller. The updated list of people in charge of Data processing managers can always be requested from the Data Controller. Processing associated with the web services offered by this website shall be physically posted “in hosting” in third party companies. Corte Tonolli uses the Statistical service of the website in third party companies with which Corte Tonolli has relationships of collaboration and assistance, the Data Centres of which are situated in Italy. Thanks to these reports, Corte Tonolli can identify, for example: the number of sessions, openings, unique visitors and clicks; the devices that have been used to navigate through the website (IPhone, Blackberry, Nokia…); the operative systems used to navigate through the website (Windows, Apple, Linux, Android…); details of the activity of individual users, how many users have generated an event (e.g. : a click on certain links, confirmations of newsletter subscriptions etc…), real time visits, a graphic map of links in order to display the area that has attracted the most interest, quality benchmarks relating to the sector in order to compare, and possibly to improve, communication results. The Data is processed upon the premises of the Data Controller and in any other place where the parties involved in data processing activities are situated. The data processing operations associated with Website activities and web services of the same are carried out upon Corte Tonolli and third party premises of which Corte Tonolli avails of as regards the management and the operation of the Website as well as the activities carried out through such Website. For further information, please contact the Data Controller at the following e-mail address: privacy@cortetonolli.it. Your data, subject to processing activities, shall not be disclosed and can be communicated to companies contractually bound to Corte Tonolli within the European Union, in accordance and within the limits specified by of Art. 42 of Italian Legislative Decree n. 196/2003, with the aim of complying with the contracts or associated purposes. The data can be communicated to third parties in the event in which this is strictly necessary so as to carry out the service (consignment of material, provision of technical assistance, etc.). – Competent authorities fulfilling legal obligations and/or provisions of public bodies, upon request. Individuals belonging to the above mentioned categories who carry out the duties of the Data Processing Manager, or who work autonomously as independent Data Controllers. The list of the people in charge of Data Processing activities is constantly updated and is available upon Corte Tonolli premises. Any further communication or disclosure shall take place only after having obtained your explicit consent. The user’s personal data shall be accessible to our internal and external personnel in charge of data processing activities as well as to the Data Processing Manager specified above so for the abovementioned purposes. Apart from what has been specified as regards navigation data, the user is free to provide his personal data. The conferment of data is optional but necessary. Failure to provide data marked with the symbol *, can cause the impossibility to obtain what has been requested or to be able to benefit from Data Controller services. Which personal data can I have access to? After registration on our Website, the user can access certain data relating to his/her account as well as the relevant online booking transactions carried out through the website. Which options can I choose from when booking online? The user can always choose not to provide his/her personal data, however, it must be understood that the provision of such data could be required in order to make an online booking. Individuals who provide their personal data have the right, at any time whatsoever, to obtain the confirmation of the existence or otherwise of the same data and to become aware of its content and origin, to check its accuracy, to request the integration or the updating or even the correction of such (Art. 7 of Italian Legislative Decree n. 196/2003). In accordance with the same Article, one has the right to request the cancellation, the transformation into an anonymous form or the blocking of the data processed in violation of law, as well as being able to object, in any case, for legitimate reasons, to these being processed. Such requests must be sent to Corte Tonolli, Via Tonolli, 58 Valeggio sul Mincio (Verona, Italy), e-mail: privacy@cortetonolli.it. 1. The interested party has the right to obtain the confirmation of the existence or otherwise of personal data that concerns him personally, even if this has not been recorded as yet, as well as their communication in an intelligible form. 2. The interested party has the right to obtain indications relating to: a) The origin of the personal data; b) The purposes for and the methods of processing; c) The logic applied in case of processing carried out with the aid of electronic means; d) Details relating to the identification of the Data Controller, the Data Processing Manager as well as the relative representative appointed in accordance with Art. 5, paragraph 2; e) Individuals and categories of individuals to whom personal data may be communicated or who could become acquainted with such while working as an appointed data processing representative, managers or people in charge of such operations operating within the Italian territory. 3. The interested party has the right to obtain: a) The updating, the correction, or rather, if necessary, the integration of data; b) The cancellation, the transformation into an anonymous form or the blocking of data processed in violation of law, including those, the retention of which is not necessary in relation to the purposes for which the data has been collected or subsequently processed; c) Confirmation that the operations specified in letters a) and b) have been made known, also as regards their content, to whom this data has been communicated and disclosed, except in the case in which the notification proves impossible or if it entails the use of means that are clearly disproportionate to the right being protected. 4. The interested party has the right to object, in whole or in part: a) For legitimate reasons to the processing of personal data that concerns him directly, even if pertinent to the purpose of collection; b) To the processing of personal data that concerns him directly for the purposes of sending advertising material or direct selling or in order to carry out market research or commercial communication activities. In the event that you wish to contact the Data Controller, it is necessary for you to provide your e-mail address, your name, address and/or telephone numbers, so as to allow the request to be properly dealt with. Should you decide not to receive any more automated direct marketing communications via (e-mail)/newsletters, for which you previously gave your consent by completing the form on our website, you only need to use our automatic e-mail cancellation systems or alternatively, please write to the following address: info@cortetonolli.it specifying as its subject “automatic data processing cancellation” and you shall no longer be contacted.